GA is one of the highest quality global growth equity investors, with $28 billion AUM, headquartered in New York with offices all over the world. They are extremely savvy investors with deep experience in classifieds and specifically property classifieds globally. The BECO team has known the GA team for about 4 years now and has only had extremely professional dealings with them, always looking forward to the day when they invest in our ecosystem. A warm welcome to team GA, we are very proud to have you in our ecosystem and will do our very best to make sure you enjoy this journey in our region, and make this a profitable transaction for all of us in the future. $120m is AED440m in Foreign Direct Investment (FDI). Without going into the specifics of the transaction for confidentiality reasons, this is a significant amount of dry powder that will be invested in our region. 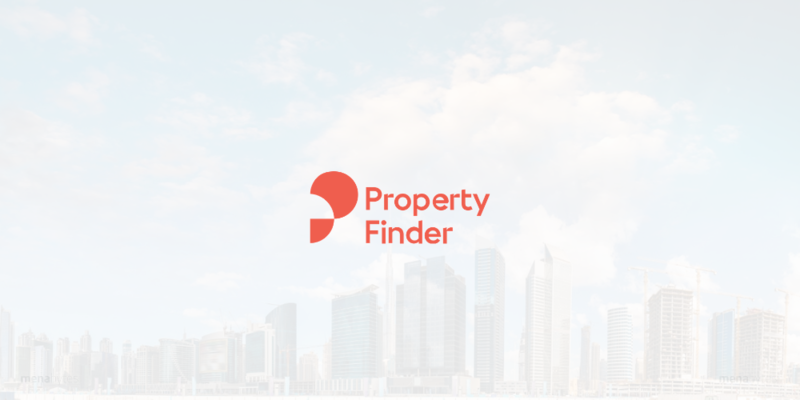 This will create more jobs, more which in turn will fuel jobs throughout the ecosystem of companies that work with Property Finder; in marketing, advertising, real estate brokerage, real estate development, office space, office & home furniture, and design. FDI is a KPI for all regional governments and the contributions in FDI from our ecosystem will only grow exponentially over time. The more we, as local investors and founders, keep of our early-stage companies, the more capital we will have recycled back into our economies from growth stage investments as well as eventual exits that are meaningful, further attracting investment into our region from local investors as well as FDI. Firms like GA have deep long-standing relationships with acquirers globally, both financial and strategic. They also have deep relationships and an understanding of global capital markets as demonstrated by the portfolio companies they have taken public the world over. This deep experience and expertise will ensure the greatest probability of the optimal outcome, be it M&A, or an IPO of any target company that they invest in our ecosystem. This ensures the best possible exit outcome which will attract more investors from and into our ecosystem, creating a positive and growing cycle of much-needed investors and capital flowing into our ecosystem at all stages. To global investors who have not visited our region, we are always working initially to validate our region, both geopolitically and commercially. It is no fault of their own, as when I am abroad, either in the East or West, the media’s depiction of our region is often one of violence and extremism. Whilst we do have pockets of this in some of our region, for the most part, when our international guests do visit us, they are often positively surprised by how warm and hospitable we are as a people and how the flashes of extremism on TV appear to be magnified in the media. Commercially, if you just take the GCC, Egypt and the Levant, we are approximately 160m people, who are amongst the youngest populations on earth, with some of the highest broadband penetrations and with some of the highest quality internet infrastructure in the world, coupled with relatively high GDP per capita numbers and you have a very attractive market with young, connected consumers (and enterprises) with very high propensities to consume and purchase goods and services online. Put simply, when measuring ARPU or spend/customer against global comparables in most sectors we look at and invest in, our region regularly features amongst the highest in the world, whilst at the same time having some of the lowest CACs on earth due to the early nascent nature of our ecosystem. Dany Farha is the Managing Partner with BECO Capital, one of the early investors in Property Finder. He also sits on board of the company. This article was first published here and has been reproduced on MENAbytes with permission of BECO Capital. Dany is the CEO & Managing Partner of BECO Capital, one of the most active VC firms of MENA. He is also a successful serial entrepreneur with many exits including Bayt.com, that he had co-founded in 2000. You can reach him on Twitter.